With HULFT solutions for healthcare data integration, organisations can leverage telemedicine, payment solutions, wearables, and analytics in the knowledge that sensitive data is organised and secure. Healthcare IT today presents unique challenges in security, complexity, and interoperability. 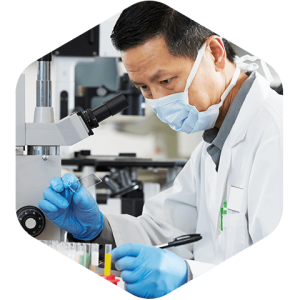 HULFT’s Healthcare Data Integration Software gives you the power to meet these challenges and take back control. In an industry where sensitive data grows by the minute, innovative healthcare software is a must. And as healthcare embraces digital transformation and IoT, the need to carefully control the data chain is ever more pressing. HULFT’s globally recognised IT integration solutions are at the forefront of digital change in the sector. Modern healthcare is overflowing with data from electronic medical records, devices, and wearables, across a network of government entities, clearing houses, pharmacies, payers, providers, and hospitals. Turning this complex data chain into actionable intelligence is the key to successful initiatives. Without a reliable yet flexible data infrastructure to back it up, this data fails to achieve its business value. That is where choosing the right healthcare data integration software becomes crucial. HULFT provides the integration and transfer solutions that ensure healthcare interoperability. Your data strategy will be based on a firm foundation that is scalable to meet future developments with minimum effort. This leaves you free to leverage telemedicine, payment solutions, wearables, and analytics in the knowledge that your data is organised and secure. 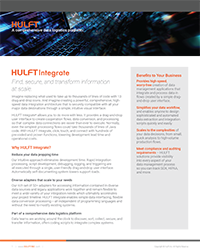 Many businesses choose to combine HULFT Integrate with HULFT Director to achieve total visibility and remote control. Join Influential, HULFT’s UK partner, in optimising healthcare for all. Tens of thousands of businesses in 43 countries have seen the results. Consolidate data: remove the need for data spread across multiple systems. Bring together large data sets into a single, centralised management system. Work with the confidence that any data can be accessed quickly, securely, and reliably. Simplify reports: send automatic reports to government agencies. Meet compliance requirements with no additional time. Manage workloads: replace labour-intensive processes with automated systems. Free your business to focus on innovation. Coordinate, collect, extract, and cleanse data from any stage in the data chain. For certain of HULFT’s healthcare clients, data transfer volumes can exceed 10 million interactions per day. Meanwhile, as many as 30 different data systems run around 500 interfaces with their own related processes. Monitoring sales trends and customer feedback while controlling distribution and delivery is another part of the puzzle. And all of this has to be processed rapidly to inform sales strategy, development input, and promotional efforts. Due to unconsolidated systems, the company has to spend high man-hours on inefficient processes. Sound familiar? HULFT Integrate wipes away convoluted development cycles. Control an integrated data platform that provides easily manageable insights. Enjoy effortless development of operational interfaces. 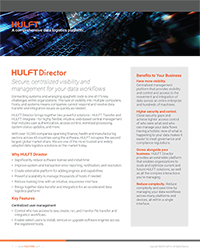 Reduce time in your data investigations and experience seamless operation among systems.